I, like many crocheters, enjoy making charity projects. In the past, I would participate in charity crochet-a-longs online and ship my creations to organizations throughout the country and the world. 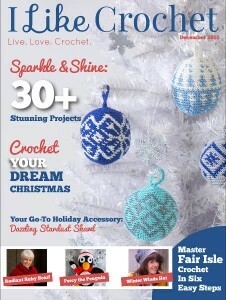 With rising postage costs, more and more crocheters are looking for ways to contribute their crocheting talent locally. Luckily, it’s easier than you think to find local charities that accept handmade projects. The first stop in your search should be your local crochet organizations and yarn shops. These groups may already organize drives for local charities that accept crocheted creations. By working with these groups, you’ll also have the opportunity to crochet with others, and you may be able to access discounted or donated yarn for charity projects. Your local crochet guild is probably a chapter of the Crochet Guild of America, and you can find a complete chapter list, organized by location, here. There are also several directories of yarn shops available online, including Knitmap, NeedleTravel and YarnPlaces. If your local guilds and shops aren’t involved in charity crocheting, several organizations maintain online lists of charities that accepted handmade donations. Both Bernat Cares and the Lion Brand Charity Connection allow you to search by zip code and filter by charity interest. AllFreeCrochet has a list of organizations that accept handcrafted donations. 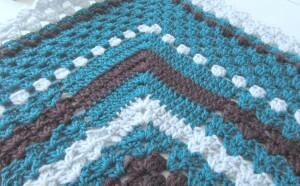 You can find similar lists on the Crochet Guild of America and Bev’s Country Cottage websites. Be aware that these lists may not be updated regularly, so you should contact the charity to check out their current requirements, deadlines and drop off locations and times. Before getting started, understand the requirements for your identified charity. While crocheting may be your way to express creativity, projects that do not meet requirements may not be used and may even be discarded. Most charities specify fiber types, and others may recommend colors. For example, charities that provide winter wear to homeless people may request acrylic yarns in dark colors, while a hospital’s neonatal intensive care unit might request cotton yarn in pastel colors for their premature patients. Organizations may even specify exact colors to use or avoid for cultural or other reasons. Many charities are quite specific about project sizes as well. They may be seeking hats only for newborns or pet blankets that can fit into large crates. There are often detailed instructions for finishing, too. Ends may need to be left hanging or woven in for a particular length to avoid unraveling. Once you know the requirements of your charity, you can pick out a project. Several charities have recommended patterns, but often you can choose the pattern as long as your project conforms to other guidelines. If you find it easier to make projects once you memorize the stitch pattern, you may want to choose one pattern, such as a simple scarf or mittens, to make again and again. If you are easily bored by repetition or want to challenge yourself to try different projects, you may find it fun to work through a book of granny square patterns. You can find great free patterns for a variety of project types on AllFreeCrochet. Crocheting for charity is a wonderful way to share your love of the craft while doing something that benefits others. You can save time and money by donating to local charities. As long as you follow the charity’s guidelines, you can even express your creativity with each donation you make. How do I know that the yarn I picked is going to work?